I posted this goldfish as a work in progress on Instagram, and through the magic of the internets I turned him into plot bunnies! 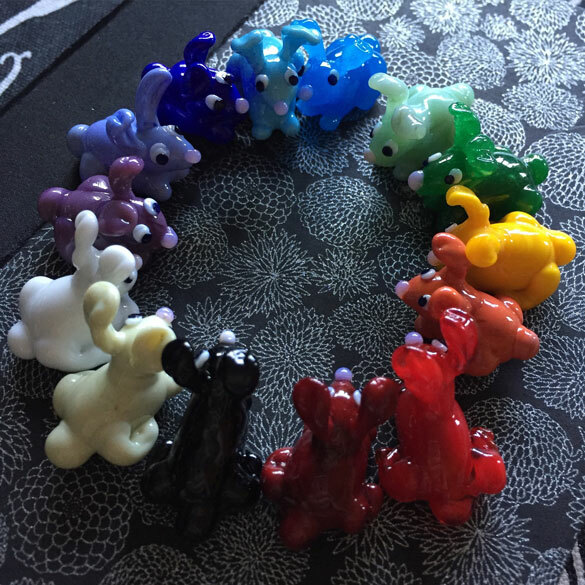 He’s heading out tomorrow to his new home, and in return I have a whole rainbow of rabbits to keep me company during NaNoWriMo. 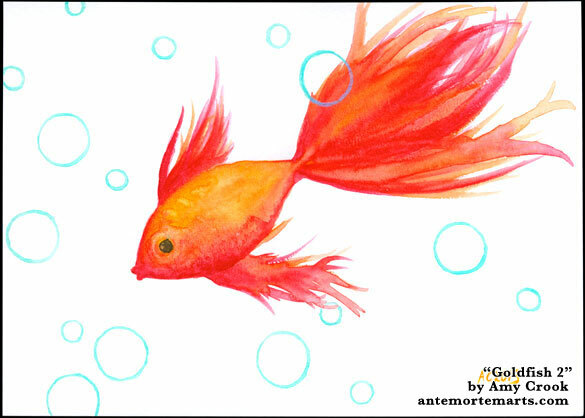 Goldfish 2, 7″x5″ watercolor and duochrome watercolor on paper.